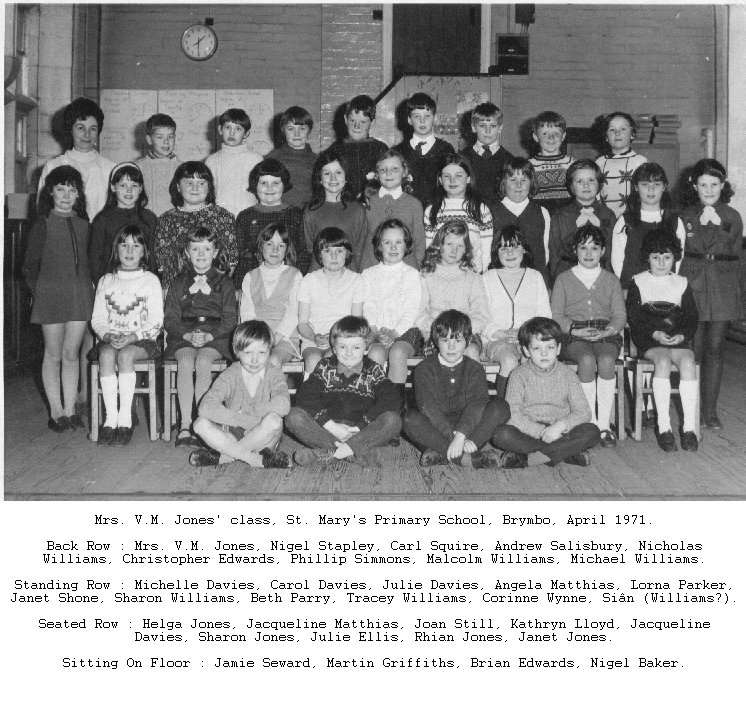 St. Marys Church School 197? 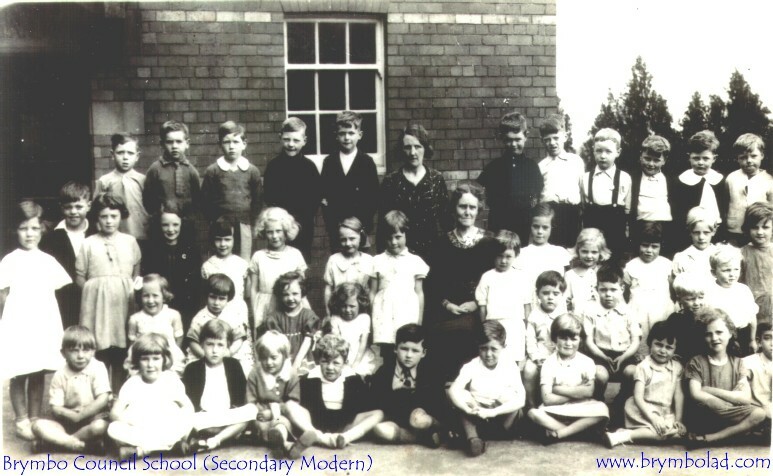 "I took this photo of the teachers in my last year at school. Must be about 1968-9. 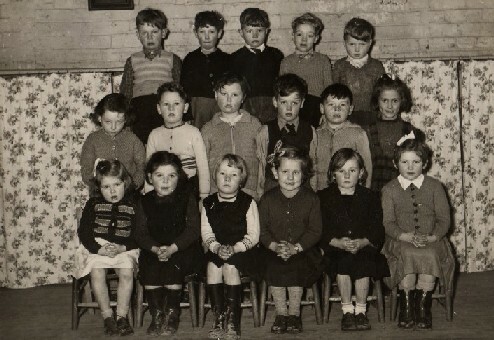 I will try and name the teachers. 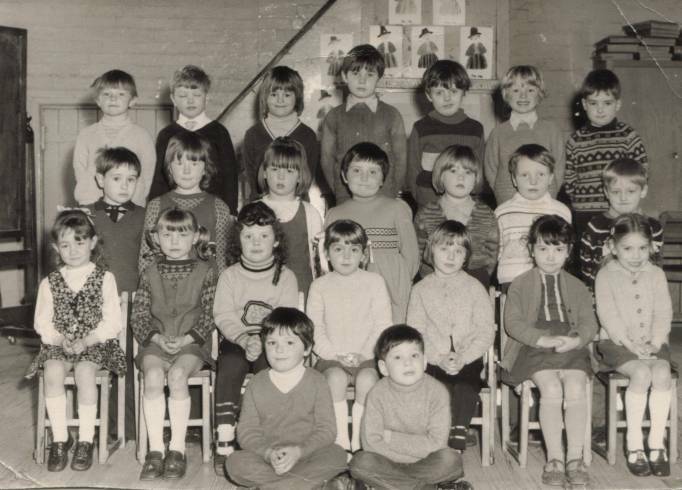 If anybody knows the people in the photos, please email me the details. 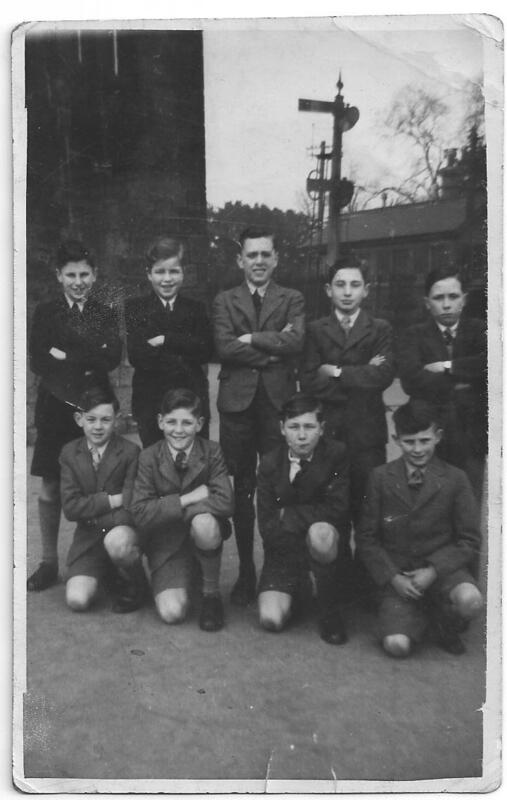 Paul Ford (Charlie); Keith Weigh; Paul Leech; Les Hughes; Andrew Prydderch; Eugene McCormac; David Jones (Dod). Paul Jenkins; Michelle Salisbury; Melanie ? ; Kay Evans; Karen Roberts; Christopher Mercer; Russel Povey. 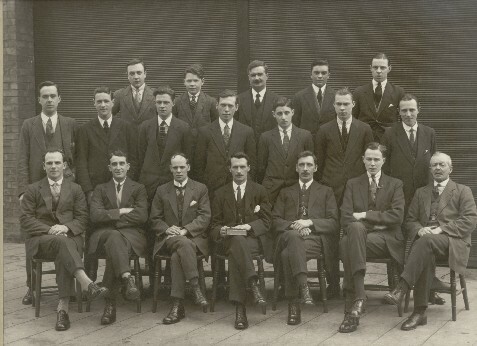 BACK ROW: Mr Adams Jones, Norman Poole, Phil Roberts, Geoff Matthias, Roger Hanmer, Royston Hobson, John Gallimore, Glyn Jones, Geraint Lloyd, John Suckley, Leonard Davies and Mr Fisher. 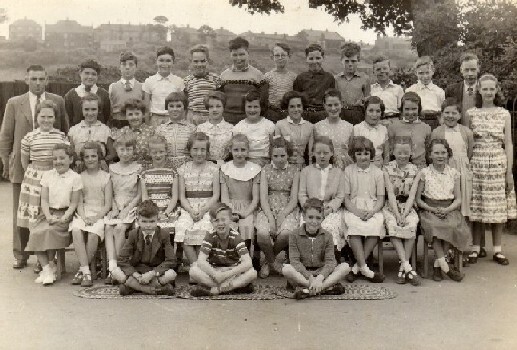 MIDDLE ROW: Gaynor Jones, Rita Burke, Gaynor Smith, Gwyneth Davies, Dorothy Edwards, Beryl Lloyd, Jackie Stapeley, Joan Evans, Muriel Davies, Ann Povey, Rosemary Johnson, Janet Griffiths . SEATED: Robert Taylor, Michael Rogers, David Edwards. 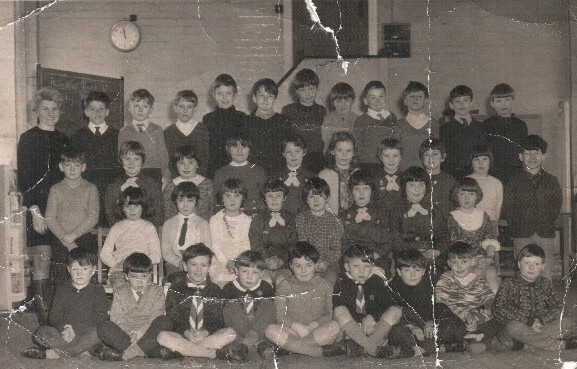 Brymbo Junior School 1960 approx. Front row: Left to Right: ?, ? 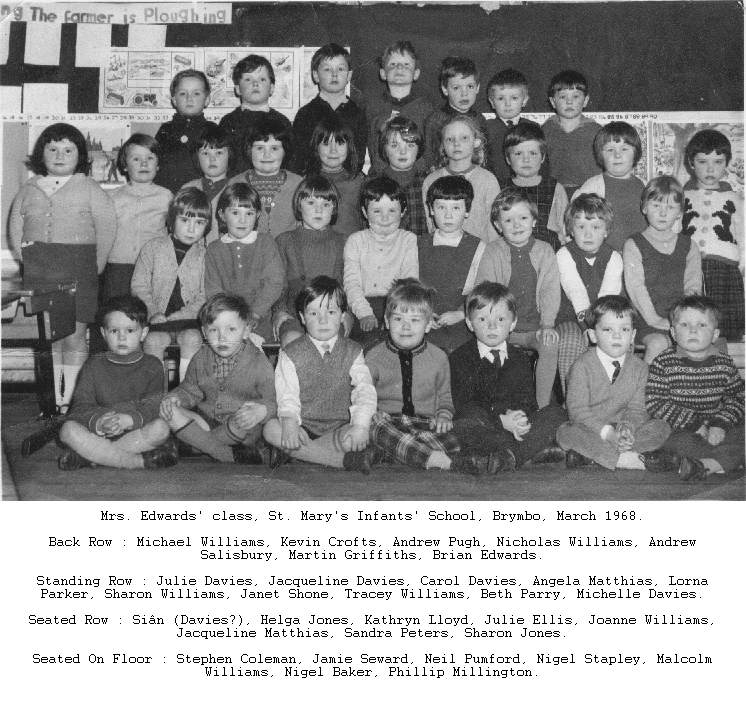 Mrs Robinson or Robertson, Mrs Gunning, ?, Mrs Edwards (Pope's wife). 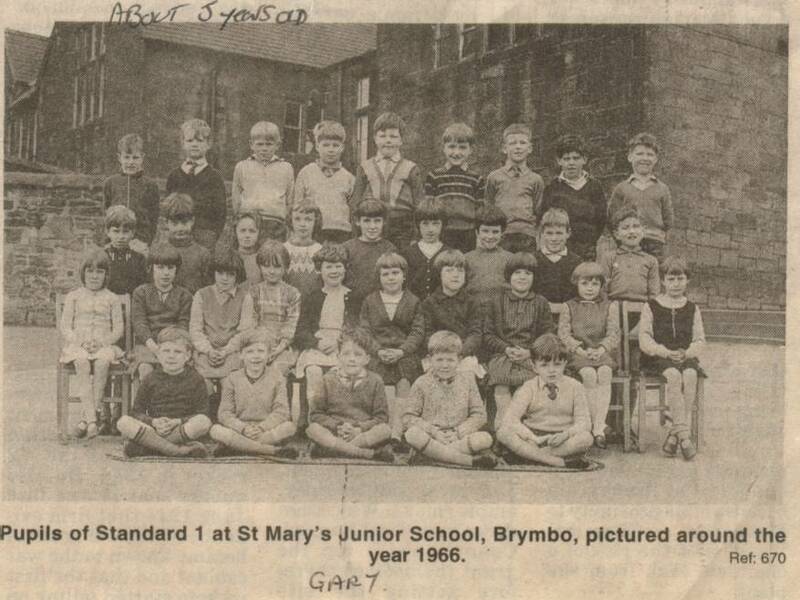 Brymbo Junior School 1981-1982 approx. 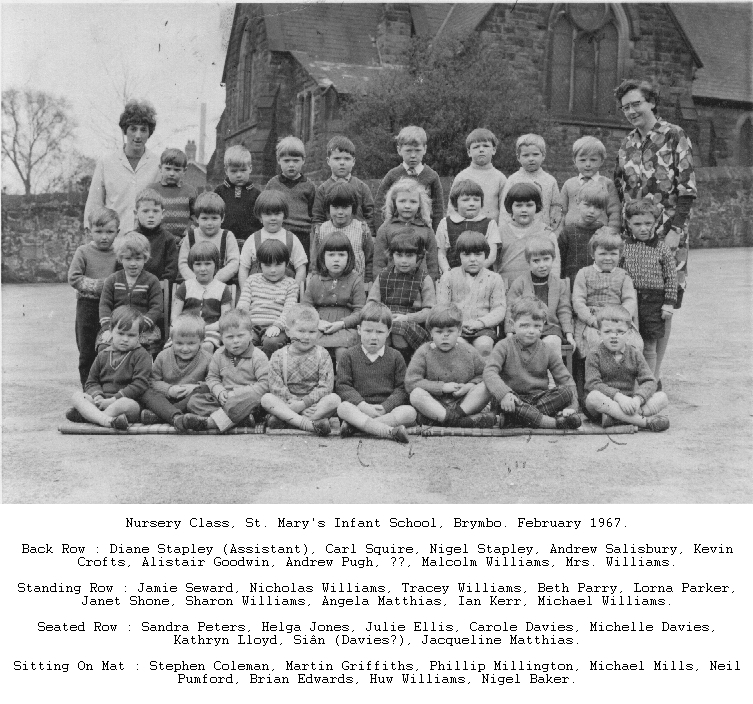 Back row: Paul Edwards, Fiona Lewis, Andrew Lewis, Darren Tulett, Gavin Davies, Jane Stringer, Cherie Mills. 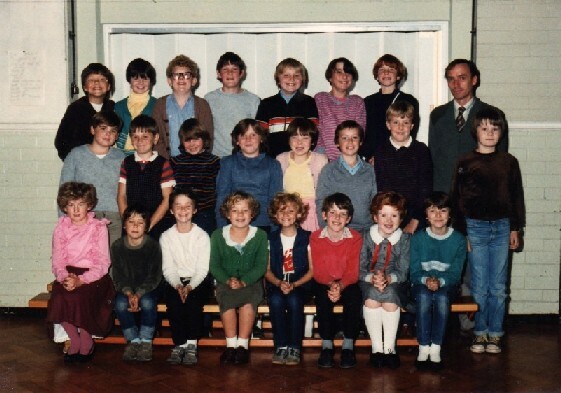 Middle Row: Jason Jones, Christopher Ford, Julie Lambert, Rachel Morris, Sarah Williams, Stuart Walker, Darryl Taylor. 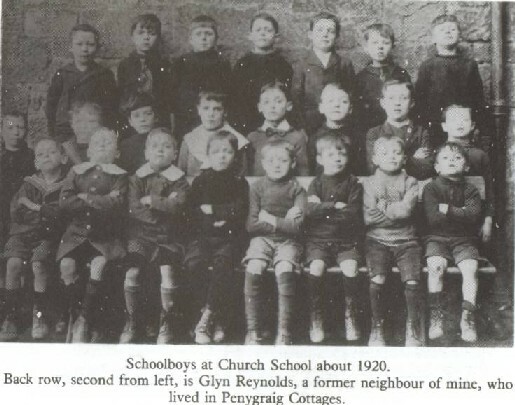 Standing: Teacher: Henry Lloyd, Matthew Griffiths. 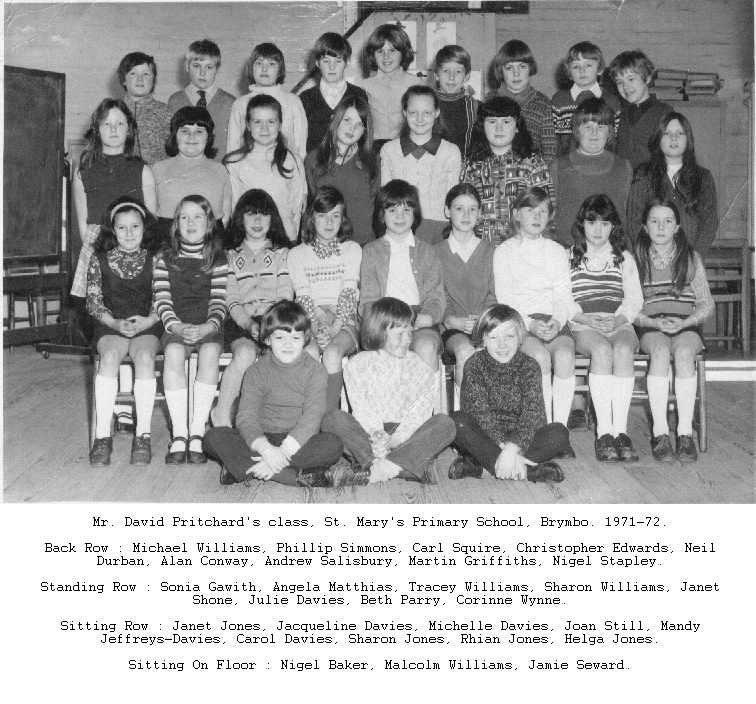 Front Row: Rachel Jones, Lyndon Williams, Kay Jones, Claire Langford, Carol Greenaway, Tom Holmes, Claire Green, Sharon Griffiths. 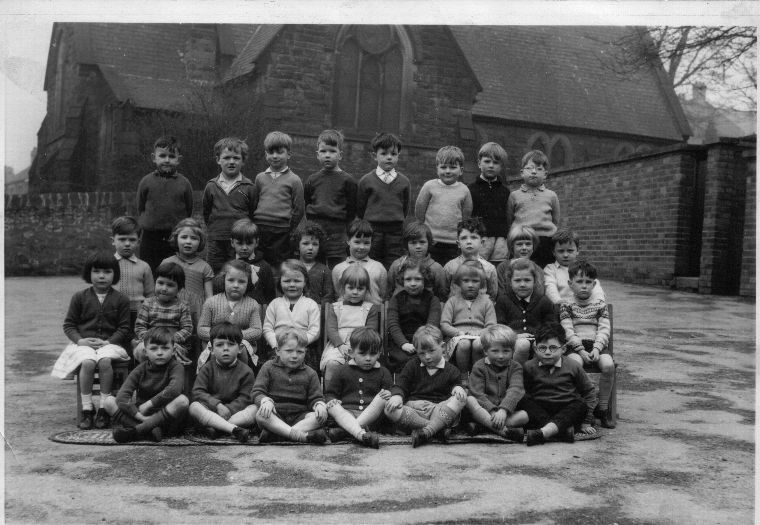 Thank you, Malcolm Tunley of Aberystwyth, Ceredigion, Wales..
Brymbo C of E Standard 5 1947-48 taken in the summer of 1948 before we all left to go either to the Council School or to Grove Park. 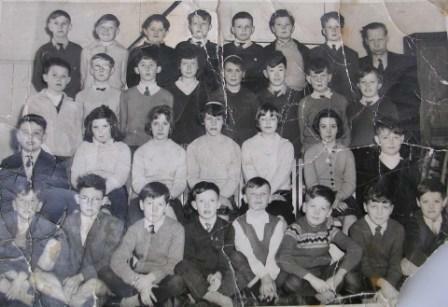 Colin Hughes (spider), Frank O Neil? 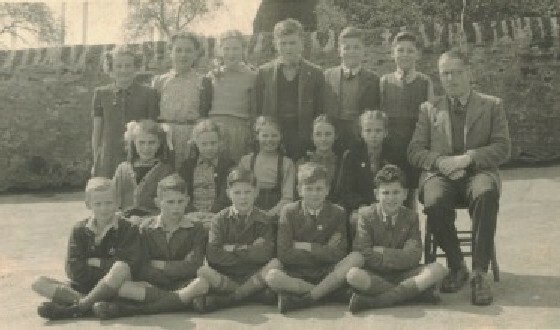 John Parry (paffy), Unknown, Eddie Hallam? Unknown, Cornelius O'Keefe, Mr. Fisher. 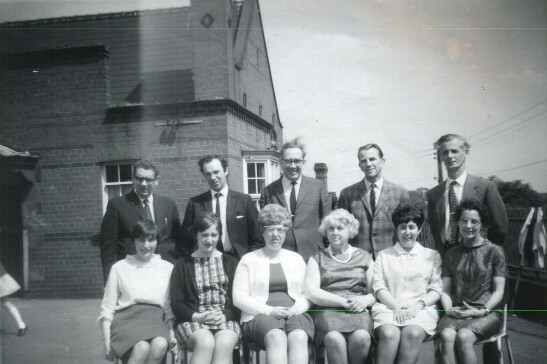 Unknown, Alan Hughes (agus), Peter Nickolic, Eunice Edwards, Susan Roberts, John Davies, Clive Fisher ? Mr. Fisher the teachers son, Unknown. 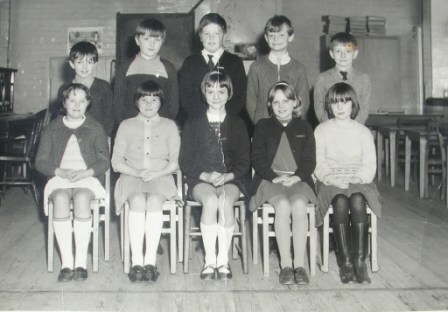 Unknown, Lynn Owens, Unknown, Cheryl Matthias, Unknown, Unknown, Unknown. Ken Rogers? Kevin Jackson? 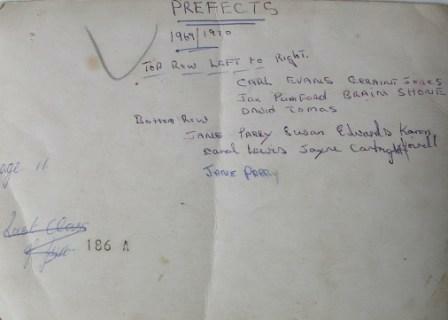 Unknown, Keith Bloor Jones ( foo foo), Unknown, Carl Williams, Arthur?, Terry Mathias.